Save up to $15 on Bundle of 3-Pack Bulbs ! Material：Each E.P. 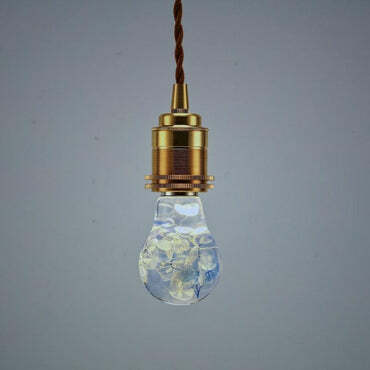 Light bulb is crafted from the best quality resin, available only in Burma as far as we know, which it's highly transparent, Eco-friendly, recyclable. Environmental-friendly：Save energy up to 63% of the traditional bulbs. Won’t be burning after long hours working. EPLight can be light up as a real bulb, perfect for building up mood in space. Uniqueness - The actual color and paint curve inside E.P.Light is totally random and unique, since we treat every E.P. Light as a piece of art. *Attention：Please note that each E.P. Light is unique and can be quite different. The actual color and paint curves inside is totally random and unique, because we handcraft every E.P. Light as an original work of art. 【100% Secure Checkout】If you choose a direct payment gateway to complete your purchase, then Shopify stores your credit card data. It is encrypted through the Payment Card Industry Data Security Standard (PCI-DSS). Your purchase transaction data is stored only as long as is necessary to complete your purchase transaction. After that is complete, your purchase transaction information is deleted. 【30 Days Money Back】Customer satisfaction is our number one priority and we stand by our 100% Money-Back Guarantee on products purchased directly from us. If you are not happy with your merchandise, simply notify us for a full refund or exchange within 30 days of the purchase date. How to return? 【Free shipping】Free worldwide shipping for orders over 100$. "4+1" Bundle - with a Free Base!